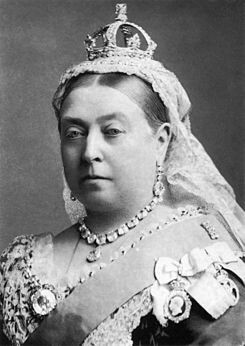 Today is the 198th anniversary of the birth of England’s celebrated Queen Victoria, namesake of the Victorian Era, which lasted from 1838 to 1901. It’s an official holiday in Canada, though they’ve adopted the American custom of moving people’s birthdays to Monday, so it was not observed today. It was also celebrated in the United Kingdom as “Empire Day” and later “Commonwealth Day,” until they moved it to March for some reason. It’s also the day on which Arlys and I had planned to release the second Ione D adventure, Professor Ione D and the Epicurean Incident, in e-book form. It is exactly a year since we released the first Ione D book. And to answer the obvious question, Victoria Day seemed to us like the ideal day to promote a steampunk book. Sadly, we’re delaying the release, because we’re not quite done with the final edit. We estimate this should take us about a week. Stay tuned for more info, and Hail Victoria! See our book Miss Ione D and the Mayan Marvel, available as both e-book and paperback on Amazon.